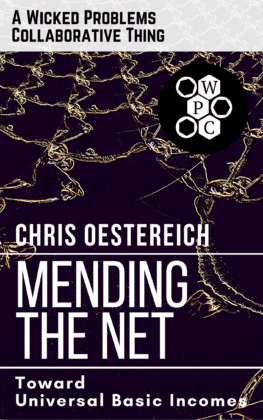 In his new Kindle book Mending the Net, author Chis Oestereich describes how a basic income can address some of the “wicked problems” facing humanity. In the book, Oestereich predicts that the economy could be headed toward a recession. In the interview he said that basic income can be a “shock absorber” of economic downturns. Without a basic income, Oestereich said he worries that the next recession will be much worse than the last for many people. One of the most unique effects of the basic income is its potential to change how we view careers and allow “self-determination,” Oestereich said. “By standing individuals up on an income floor, we could open the door for many to create unique, fulfilling lives that might not otherwise be possible,” he said. You said in the book: “A universal program removes the opportunity for politicians to erode benefits in a death by a thousand cuts scenario”. Can you explain why you think universal basic income evades austerity? I don’t think it evades austerity in general as there are other programs to cut that could still greatly impact lives, but rather that it evades austerity because since it is universal, any cut must be done to everyone. Means testing programs are a game of continually shifting goal posts wherein a small adjustment to a qualifying measure can mean the difference between families having enough to sustain themselves, and coming up short. By shifting to a universal program the goalpost moves could no longer trim away at those on the margins. I’ve heard some say providing a greater array of people more money through basic income would exacerbate environmental degradation with their new consumption? Considering lower income individuals spend a higher percentage of their income. What do you think the overall effect on the environment would be from basic income? I think environmental impacts are one of several valid concerns around basic incomes. That’s why I advocate for significant testing to see what we can learn. 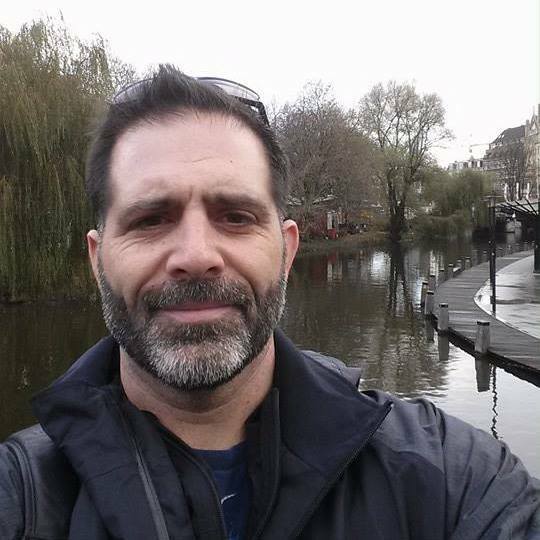 Some people may be enabled to purchase and consume more goods and services as the direct result of a UBI, but I think that’s an argument for finding an appropriate level of UBI that’s not so large that it allows people to go from living lives of unfulfilled needs, to being enabled to live destructive lifestyles. But I think some of us might cut back on some work and consumption that are part of today’s treadmill of subsistence. Take away the need for a full-time job to get by and some of us might only work three or four days a week and consume less resources through commuting and other related efforts. We need to gain a better understanding of the effects of a widely-implemented UBI, and then we might need to update social norms to align with systemic needs. And it’s possible that we could gain unexpected positive effects like those experienced in Utah where giving homeless people places to live resulted in reduced use of medical care. You mentioned that we are probably counting down to a recession. How would a basic income address the issues of economic recession? Why do you think the profit motive is destructive? And how does basic income help address the profit motive force? I don’t think the profit motive is inherently destructive. But when it’s the sole focus of an organization, the profit motive allows businesses to hold extractive relationships over their employees. When a person has no other means of subsistence, the terms of employment are often highly-unfavorable. Give an unemployed person a decent monthly payment via a UBI and the choice is no longer one of zero income or an extractive employment relationship, so the calculus around the decision changes tremendously. Instead of being in a take-it-or-leave-it scenario with only savings (if that) to fall back on, you have a choice of tightening your belt and squeezing by on any savings you have along with your monthly UBI check. It would give workers a little bit of leverage in scenarios where they often have none. You mentioned “If you hear someone talking about Milton Friedman and basic incomes in the same breath, it’s probably safe to assume that they’re looking for overall cost savings to reduce their personal tax burden.” Do you think libertarians that support basic income are primarily concerned with bringing down costs? And along those lines, do you think a coalition including fiscal conservatives and libertarians on basic income is possible? My sense is that libertarians are primarily concerned with optimizing their personal tax effects. If a UBI could reduce administrative costs, and they would end up with a net financial benefit, you’d probably have their ears. But if they ended up paying more into the system, I think you’d quickly stop hearing about how great it was. So, I think they could be willing partners up to a point, but that they’d likely drop off from the cause at some point, and that they would eventually oppose efforts to increase the amount of UBI payments. My thought is that we could probably work together to get the proof of concept testing done, but that in working to make an initial UBI happen libertarians might become a drag on the effort as they would likely be aiming for systemic savings, rather than an outcome that would be measured in improved lives. As for the topics of the essays, I’ve never been a big fan of the rat race, and I’m a huge proponent of self-determination. Basic incomes help along both of those lines. By standing individuals up on an income floor, we could open the door for many to create unique, fulfilling lives that might not otherwise be possible. What is your involvement in the basic income movement? I guess I’m sort of a passionate advocate, but I certainly don’t see myself as a movement leader. There are others (like Guy Standing and Scott Santens) whose work I regularly look to for ideas and updates on the topic. For my part, I’m working to systematically address all wicked problems. To that end, I’m currently working on a book on the UK’s Brexit issue, as well as the second anthology from the Wicked Problems Collaborative (my publishing company), that will look at the promise and peril of our rapidly advancing technological environment.